This unique battery is perfectly suited for Trail Trucks, Crawlers, and a variety of vehicle types that utilize a shorty battery configuration. Wires exit the case through a rubber gasket, which protects the wire's insulation while helping to prevent moisture from entering the case. High quality cell manufacturing and construction techniques result in reliable operation and maximum cycle life. 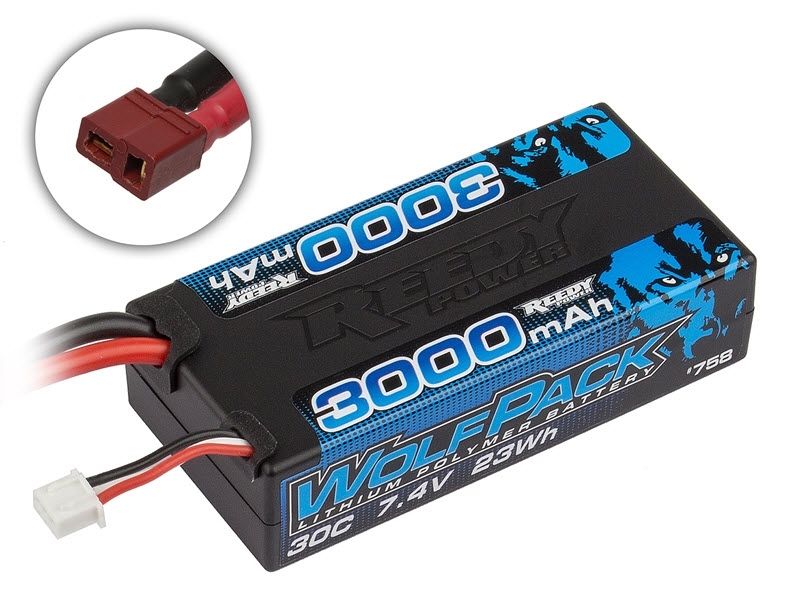 Reedy's Wolfpack LiPo batteries come equipped with beefy silicone wires and a reliable, low-resistance T-plug connector. An integrated balance lead with XH connector is included.